You’ve no doubt heard that TV ratings for NFL broadcasts are down double digits. So are English Premier League ratings, on both sides of the pond. As of last month, Sky Sports—which shows about three quarters of the Premier League games available in England—was seeing ratings declines of 19 percent compared to last year. The ratings for Sky’s flagship Sunday afternoon game is actually in a five-year free fall. On BT Sport, Champions League ratings are down, too. (Europa League ratings are up, possibly because the most popular English team, Manchester United, are playing in the latter competition.) 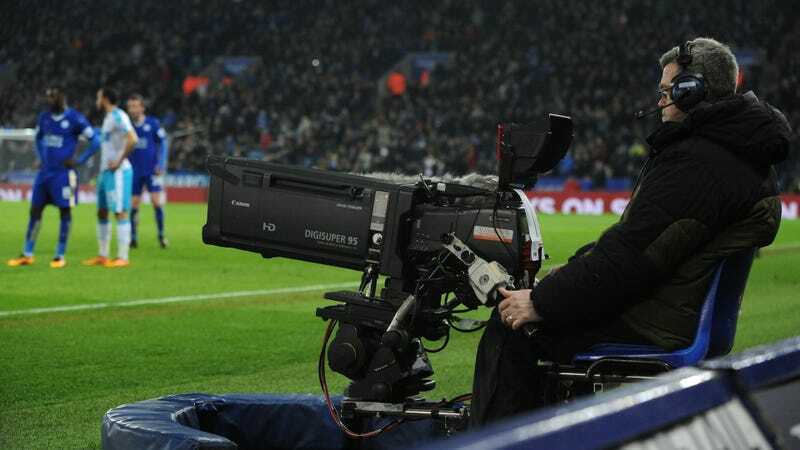 Last year, Sky and BT combined to pay a record £5.14 billion for three years of domestic Premier League rights. It is a similar story in the U.S. NBC Sports’s Premier League ratings are down 17 percent, and ratings for games on NBC seem down as well, though comparisons to last year are tough to make. This comes after three years of record viewership, and a year after NBC Sports plunked down a billion dollars to retain Premier League rights for six years, at double the annual cost they’d paid previously. The NFL ratings slump is alternatively explained as people watching election coverage instead, cord cutting, bad match-ups, a lack of stars, too many games, and/or viewers fed up with “non-football” issues like concussions, domestic violence, and anthem protests. From what I’ve read and the data I’ve seen the election explanation is most compelling, but nobody really knows. The election explanation also works for NBC Sports’s ratings, but not Sky’s or BT’s. Though I don’t agree, a credible argument could be made that it’s just a down Premier League year. There aren’t any standout teams, and there still hasn’t been a class of English stars to replace the nearly-gone generation of Lampard, Gerrard, Ferdinand, Terry, and Rooney. The Premier League has also expanded past its traditional Saturday and Sunday game windows, increasingly showing matches on Monday and offering a Friday night slate this year for the first time ever, possibly increasing viewer fatigue. In the near term, falling ratings won’t have any impact on you, the sports viewer, and you can choose not to care one bit. The games will still be broadcast, and you can still choose to watch or not to watch whatever you want. But if sports ratings are falling broadly—and given the election explanations and NBA and MLB ratings generally being up, maybe they aren’t—that will eventually mean that rights fees fall, which will mean that league revenues fall. If that happens, leagues built on the assumption that revenues will grow in perpetuity will, one way or another, be in for a reckoning.